parameter view_mode=’V’ means view vertical mode. parameter view_mode=’H’ means view horizontal mode. 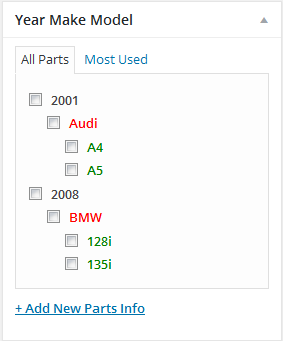 parameter top_title=’Find Your Vehicle’ means filter box top title. parameter make_label=’Select Make’ means secoend box label. 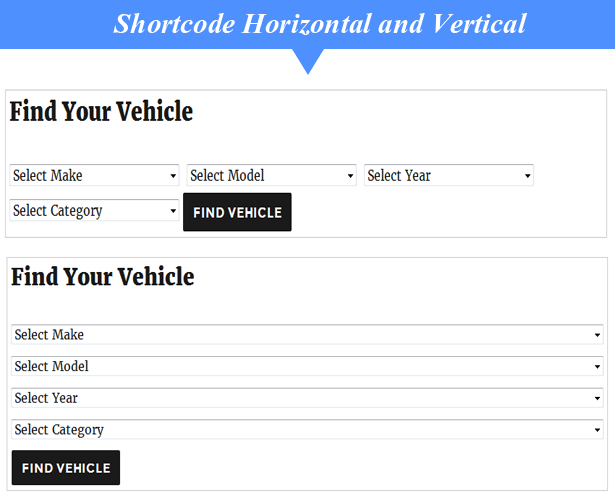 parameter model_label=’Select Model’ means third box label. parameter year_label=’Select Year’ means first box label. 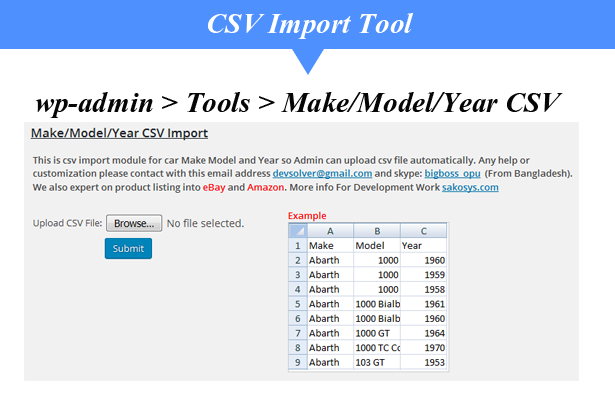 parameter category_label=’Select Category’ means Category box label. 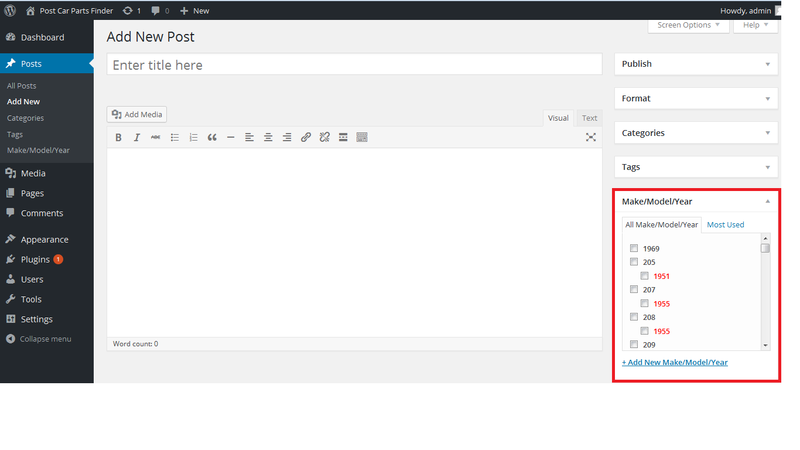 parameter enable_post_category=’Yes’ means post category will be enbale. parameter button_label=’Find Me’ means filter box button label.